This is a general checklist that is very similar to the one a student teacher would receive from their college professor. Here you will find a question or statement followed by specific areas the cooperating teacher will be observing the student teacher on. 1. Is the student teacher prepared? Do they have an organized, detailed lesson plan and all materials needed? 2. Do they have knowledge of the subject matter and a purpose? Can the student teacher answer students' questions? Can he/she motivate students to peak their interest in the subject matter? 3. Can the student teacher control students' behavior? 4. Does the student teacher stay on topic? Do they follow a logical sequence? 5. Is the student teacher enthusiastic about the lesson they are teaching? Are students excited shown through class participation and behavior? 8. Do students actively participate in class activities and discussions? Are students attentive and interested? Are students cooperative and responsive? 9. How do the students respond to the student teacher? 10. Does the teacher communicate effectively? Here you will find several topics that can be observed during a single lesson. Avoids using colloquialisms such as "you guys" and "yeah"
Here you will find a list of questions that are used in the self-evaluation process by a student teacher. Did I teach my objective? Is my lesson timed well? Do I remain on one topic too long or too short? Do I use a clear voice? Do I use proper speech? Do I move around the classroom enough? Did I use a variety of teaching materials? Do I have make good eye-contact with the students? Did I explain the lesson effectively? Did I show confidence and knowledge of the subject? 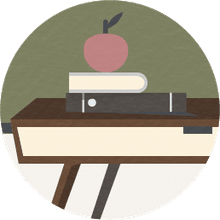 If you want to further prepare yourself for a student teacher role, you can familiarize yourself with the roles and responsibilities of a student teacher, and find out what the experience is really like.